GENEVA - The hunt for an Ebola vaccine will produce data soon about whether two experimental vaccines are safe and could lead to larger medical trials in West Africa by January, a top World Health Organization official said Tuesday. 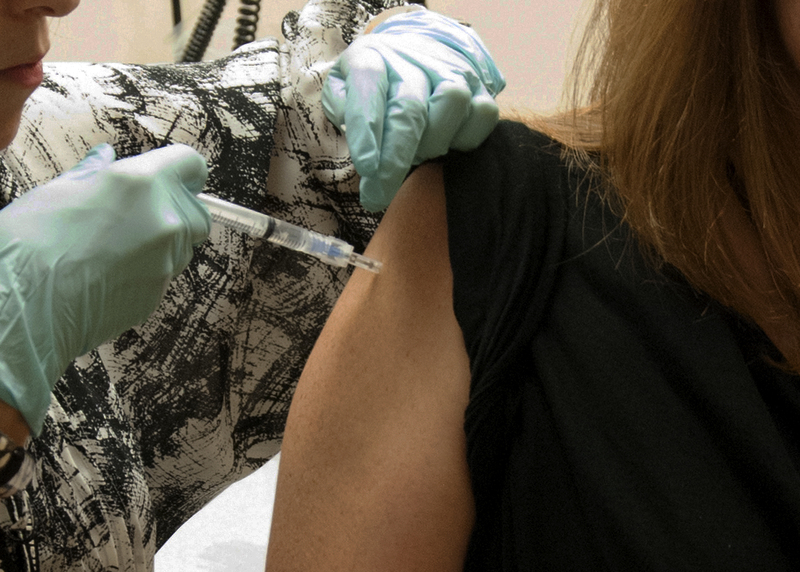 "With limited resources to test vaccines, et cetera, one always has to pick and choose what are the highest priorities," Dr. Myron Levine, an infectious disease specialist at the University of Maryland School of Medicine, told CBS News. He's been working on vaccines -- including one for Ebola -- for 44 years. Kieny told reporters Tuesday in Geneva there are two leading candidates for a vaccine. If the vaccines are deemed safe, tens of thousands of doses will be used in trials in West Africa beginning in January to test their effectiveness, she said. One of those vaccines, developed by the U.S. National Institutes of Health and GlaxoSmithKline from a modified chimpanzee cold virus and an Ebola protein, is in clinical trials in the U.K. and in Mali. It will be used in clinical trials in Lausanne, Switzerland, by the start of February. The second front-runner, developed by the Public Health Agency of Canada and known as VSV-EBOV, has been sent to the U.S. Walter Reed Army Institute of Research in Maryland for testing on healthy volunteers, with results expected by December. The next stage would be to test it more broadly, including among those directly handling Ebola cases in West Africa. Canada has donated 800 vials of the experimental vaccine to WHO but the shipment was delayed by a Lufthansa pilots strike. It is now expected to arrive in Switzerland on Wednesday for testing coordinated by the U.N. health agency among volunteers at the University Hospital of Geneva, and volunteers in Hamburg, Germany, and in Gabon and Kenya, Kieny said. "These data are absolutely crucial to allow decision-making on what dose level should go in the efficacy testing in Africa," she said, referring to plans for the broader testing starting in 2015. At a separate news conference, WHO spokeswoman Fadela Chaib promised a thorough public audit of the agency's early missteps in responding to the Ebola outbreak that has already killed over 4,500 people. "There is certainly a wish and a will to have this review," she said. "We know many elements need to be explained in the future. ... WHO will do that, but in the future; now our focus is on the response." In addition to seemingly slow action on an Ebola vaccine from U.N. and governmental agencies, when stacked against everyday threats like cancer and the flu, there wasn't a financial incentive for pharmaceutical companies to put money into Ebola research, experts have said. Dr. Anthony Fauci, the head of infectious diseases at the NIH, told CBS News:"You have a company that says, 'Let's see, maybe I could make a pill that everybody takes every day, whatever it is, a lipid lowering agent, another kind of Viagra, what have you -- they put a lot of money in to get that product, that wasn't the case with Ebola."